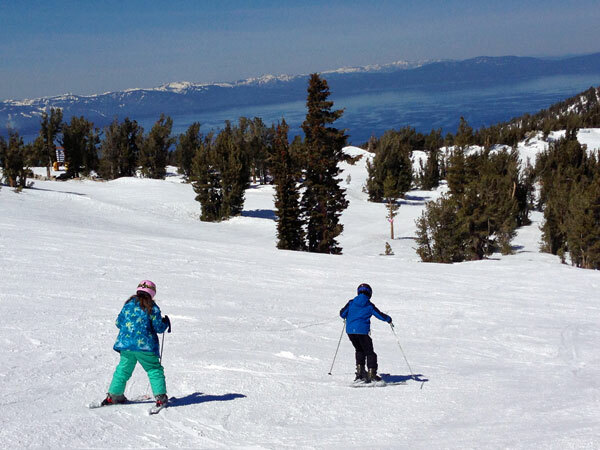 Heavenly Mountain has some of the most spectacular views of the lake. The kids are all smiles. 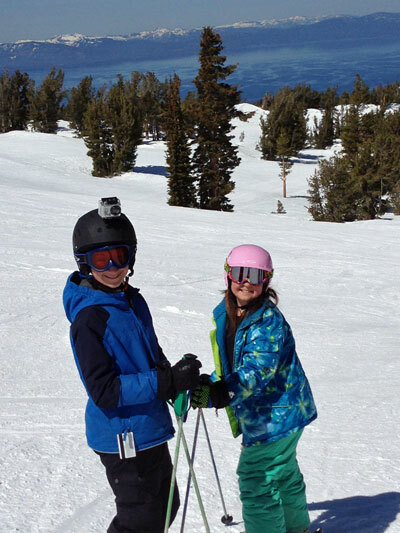 The terrain around the Comet lift at Heavenly was perfect for an improving beginner like Cassie! Heavenly Village has something for everyone. 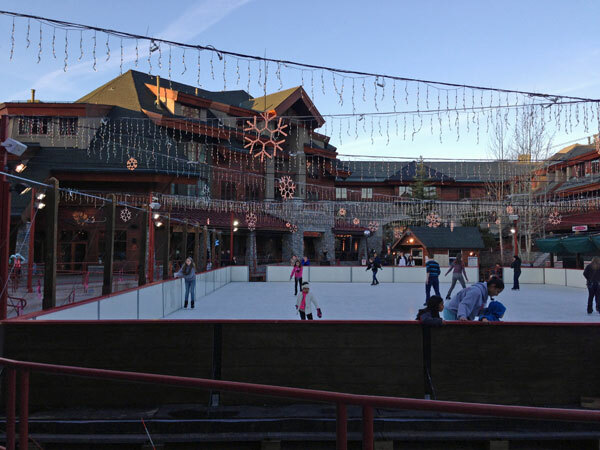 Unfortunately we didn’t have time to ice skate. 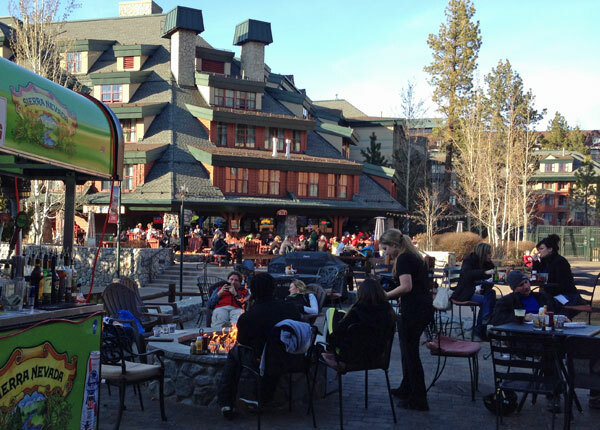 Apres-ski in Heavenly Village. Fire pits, bars, restaurants, shopping, and live music. 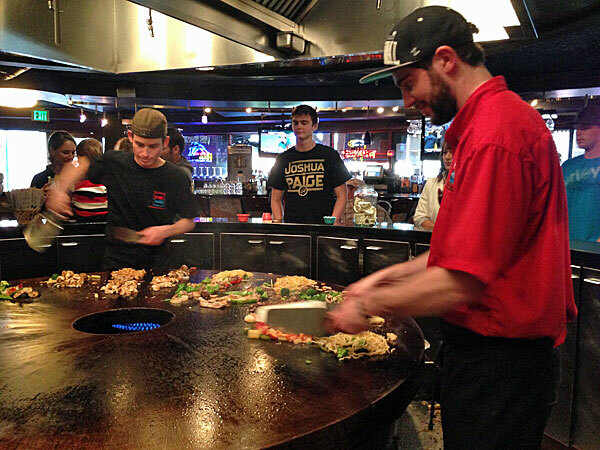 FiRE & iCE grill in Heavenly Village in South Lake Tahoe, CA lets you “improvise” and make your own meal. Read more here. 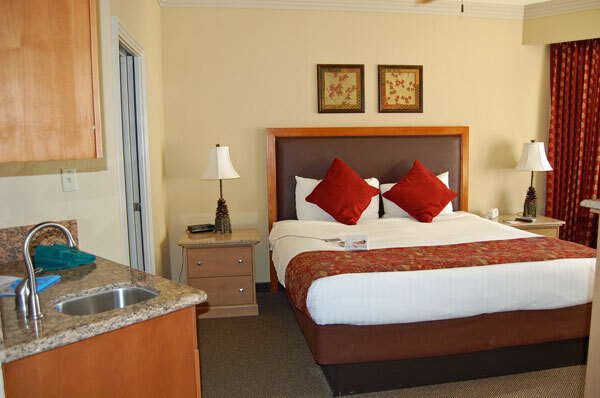 One bedroom in our two-bedroom condo at The Ridge Tahoe. 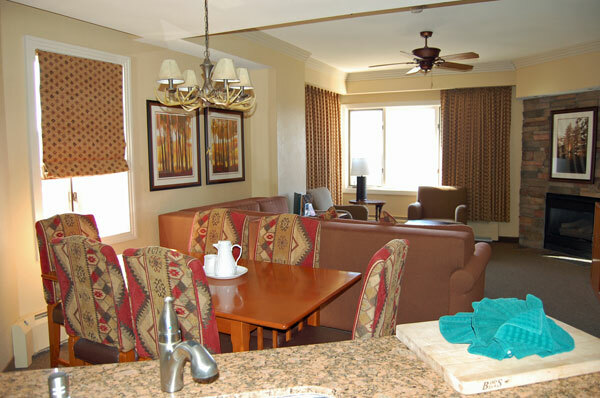 Living area in the condo at The Ridge Tahoe. 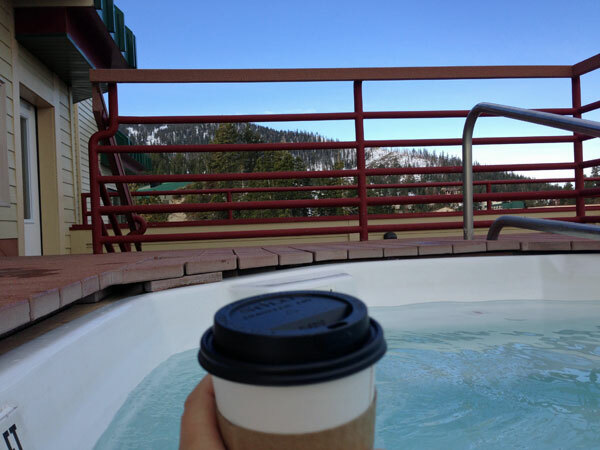 On our final day, I took a soak in the hot tub while enjoying my morning coffee. For more postcard posts and travel inspiration, visit Walking on Travels Friday Postcards series.